High Memory Usage While Idle! Hello! I've been noticing that when I am idle that my memory is sometimes at 40% or higher when only running Google Chrome and Task Manager. I got freaked out and ran virus scans with Norton and Malwarebytes. (plus spybot s&d) They all found nothing. So, I decided to come to the forums to get help. 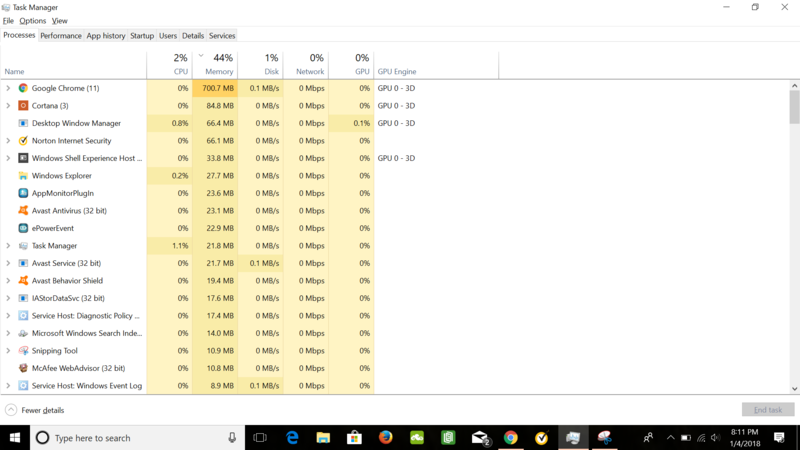 This is a photo of what my Task Manager looks like currently.. with Chrome open only. Re: High Memory Usage While Idle!